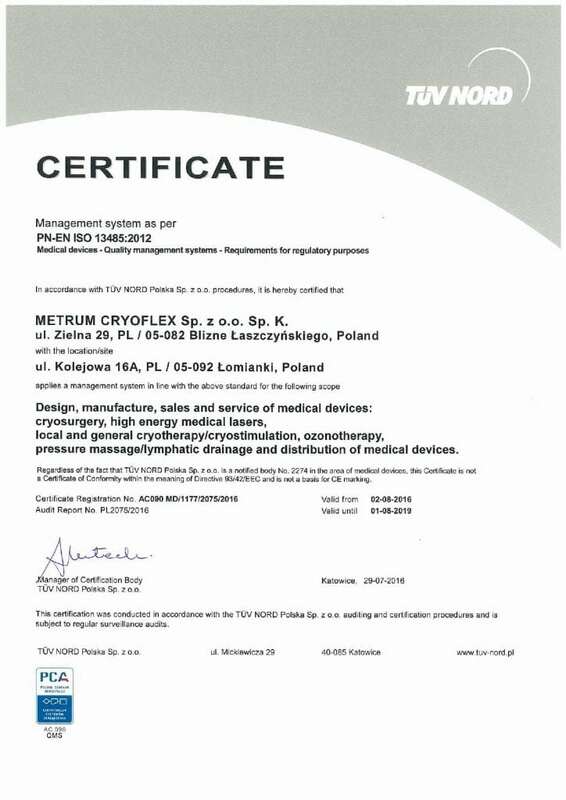 METRUM CRYOFLEX has implemented and maintains a Quality Management System which complies with the requirements of ISO 13485: 2012, under the supervision of TUV NORD Poland. METRUM CRYOFLEX products are marked with CE 2274. Safety and high quality of products is confirmed by certificates of compliance according to the requirements of the Directive MDD 93/42/EEC concerning medical devices. 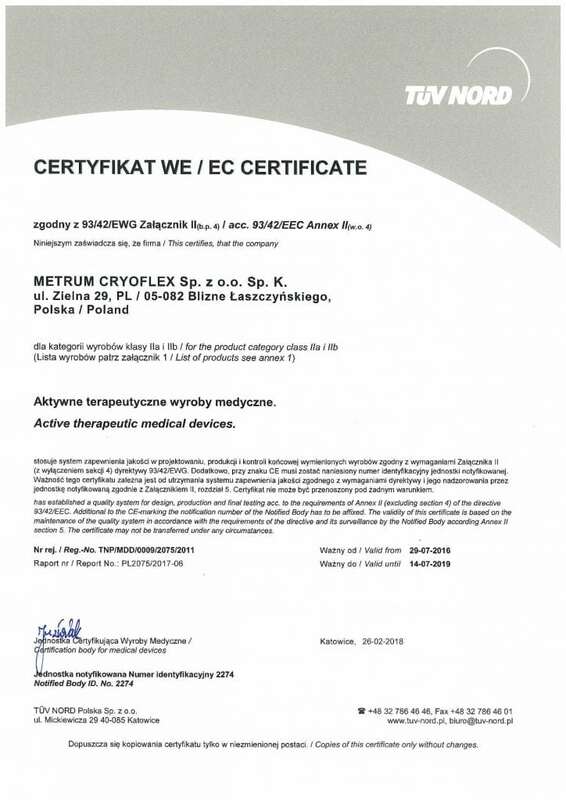 METRUM CRYOFLEX products are registered in the Office for Registration of Medicinal Products.